Fruit Beets is a collaboration between myself and Philip Gedarovich. 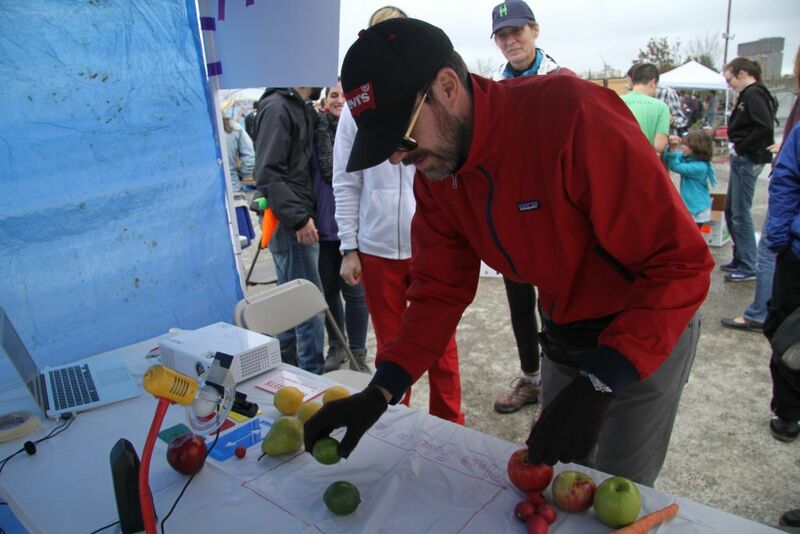 Fruit Beets is an interactive sound and visual experience activated by the fruit and vegetables of festival visitors. Installed on a banquet table inside a white tent at the Somerville Agricultural Festival on October 2nd 2016. Various fruit and vegetables are placed upon the table. 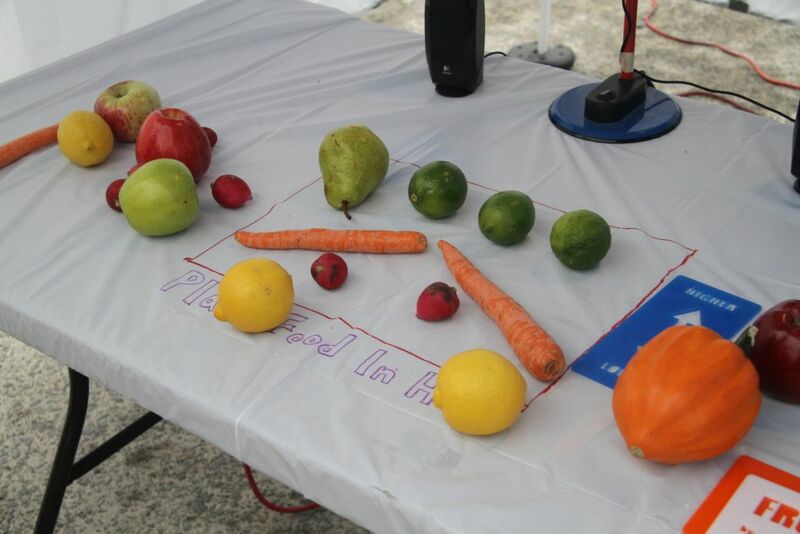 An overhead webcam records the position and color of fruits mapping these to musical beats. 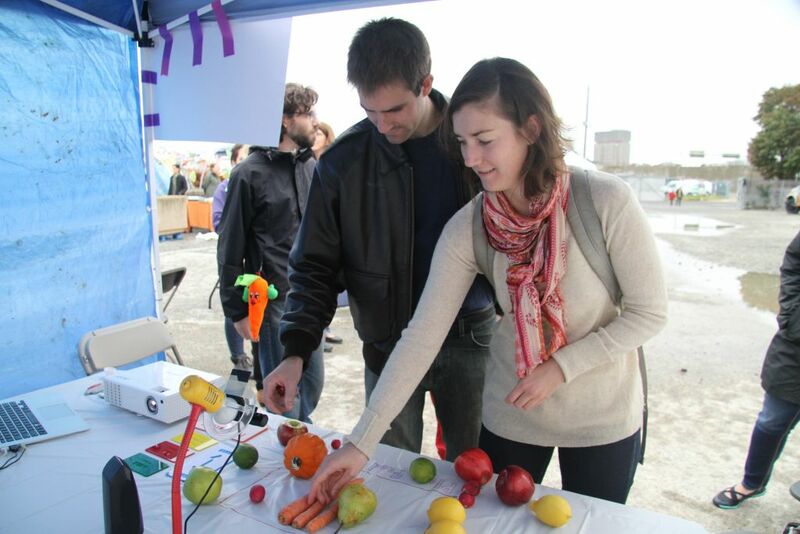 Visitors approach the table and move the fruit and vegetables around (or add their own fruit and vegetables) to change the music in real-time. Musical changes are coordinated with synchronized fruit, farming and Somerville related visuals projected onto the interior of the white tent. Material: Max (Cycling74), Webcam, Laptop, Projector, Speakers.